Quito, the host city for the Habitat III conference where the New Urban Agenda was approved, continues to progress in the localisation of the Sustainable Development Goals (SDGs), actively engaging with their civic responsibility in the process. This example is an important reference for local governments in Latin America, as an effective combination of participation, planning and urban management in line with the SDGs. 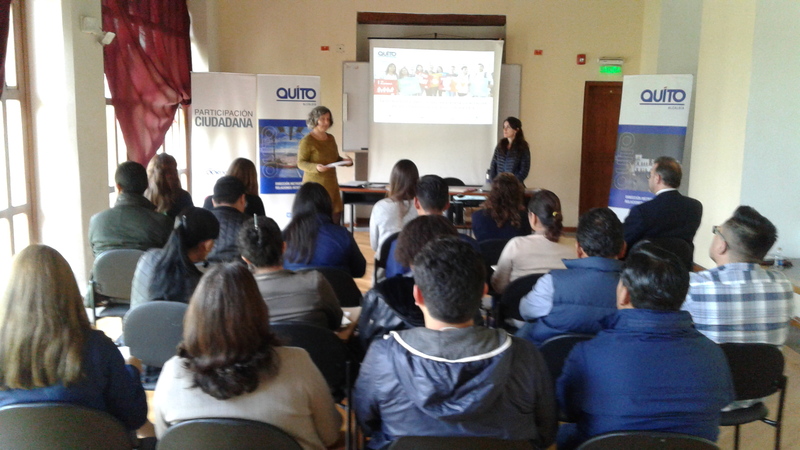 From the 13th to the 16th of March, the Metropolitan Municipality of Quito organised two Training of Trainers workshops for the localisation of the SDGs. UCLG, with their expertise in the field of learning, together with the Andalusian Fund of Municipalities for International Solidarity (FAMSI), and the Union of Iberoamerican Capital Cities (UCCI), supported the Metropolitan Directorate for International Relations, the General Secretariat for Regional Coordination and Civic Participation, and the Secretariat for Planning, in the preparation of the workshops. This training of trainers is a start for building capacity of 2300 persons, 1000 municipal employees and 400 neighborhood leaders, who will support the commitment of the citizenship to the global agenda. Forty participants from the metropolitan government and district and regional authorities were trained to be trainers, using Learning Modules 1 and 2 for the localisation of the SDGs, with the objective of widening access to the community and strengthening the skills and knowledge of the municipal authorities. These modules are the result of an agreement between UN-Habitat, UNDP ART and the Global Taskforce, facilitated by UCLG, to support the localisation of the SDGs on a regional level. The Metropolitan Director for Quito’s International Relations, Cristian Espinosa, opened the session by extending a welcome to all participants and to the trainers, Camila Lanusse (Advisor to the Metropolitan Municipality of Quito) and Luisa Iglesias (FAMSI Project Coordinator). The programme began with a general introduction about the process of creating the 2030 Agenda, about developments and differences from the Millennium Development Goals and the definition of the Sustainable Development Goals, as well as the particular case of Quito. The participants had the opportunity to learn about the efforts of the municipality in incorporating the SDGs and their targets in the municipal agenda, in local-level planning, and in the execution and monitoring of public policy, with the aim of constructing a metropolitan agenda which is based on civic participation. The presentations emphasised the importance of awareness and active civic inclusion in the process of localisation on a regional level. Fernando Santomauro, representative of the Brazilian National Forum of Secretaries and Managers of Municipal International Relations (FONARI), highlighted the importance of Quito’s innovative role in in the Latin American context. This process can be seen as an historic milestone for the cities of the continent, as key actors in the process of localising the 2030 Agenda in the region. The first day of the workshop ended with a presentation by the Planning Secretary of Quito, in which the city government’s experience in the localisation of the SDGs and the implementation and creation of local indicators was presented. On the second day, the programme was centred on the Learning Modules about the Localisation of the SDGs and their adaption to raise awareness along local and regional leaders. Special attention was paid to the alignment of plans with the SDGs, which is the core of the second Learning Module. 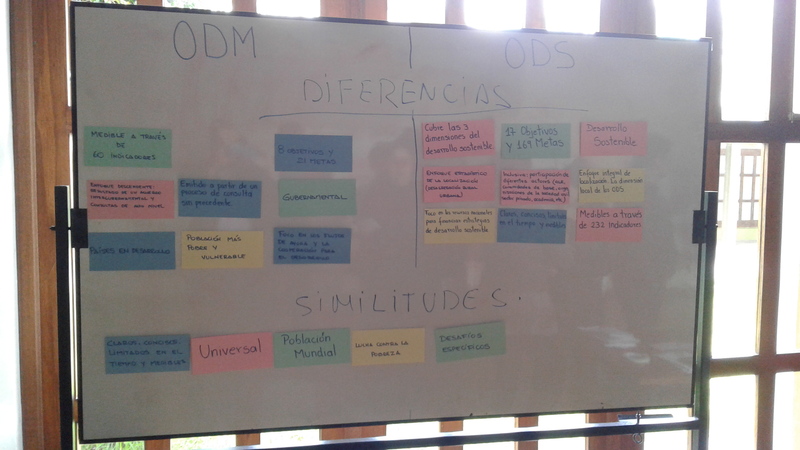 The interactive exercises revealed the challenges and opportunities in tackling the Global Agenda in the context of strategic local planning in the Quito metropolitan area, integrating civil servants, youngsters and local leaders. 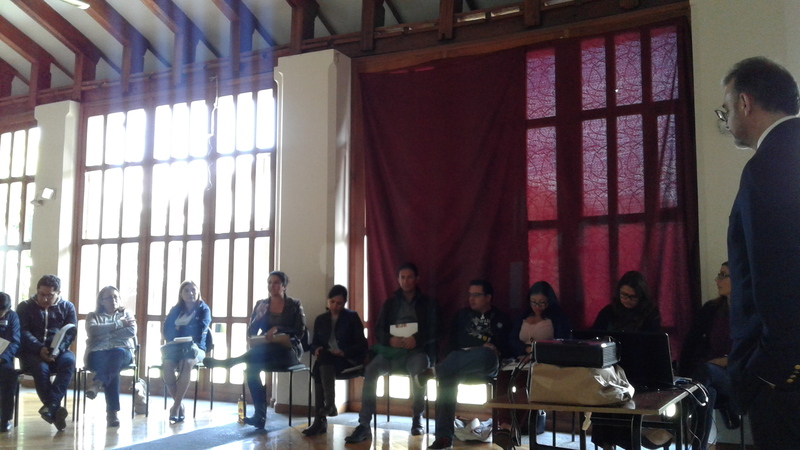 The participants of the event worked on adapting the tools to local realities. This exercise on adaption focused on the needs of the citizens, using participative processes to raise awareness. The new trainers had the opportunity to plan, comment and receive feedback on their upcoming workshops which will integrate more members of their staff as well as people from their neighbourhoods into the process of localising the SDGs.